It has been a while since we last updated our blogsphere. 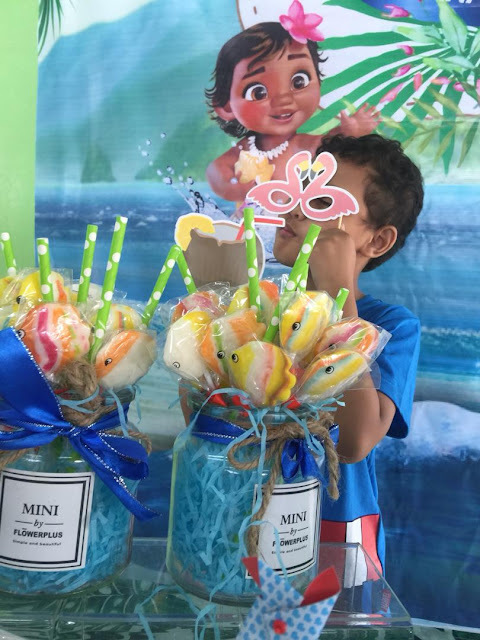 We have been busy with weekly bookings mostly for kids parties back to back and this week seems lighter to our schedule after a owrking hard for the past two months. 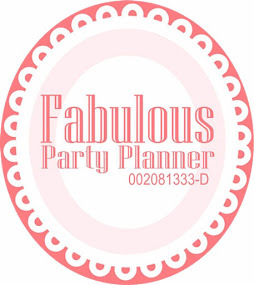 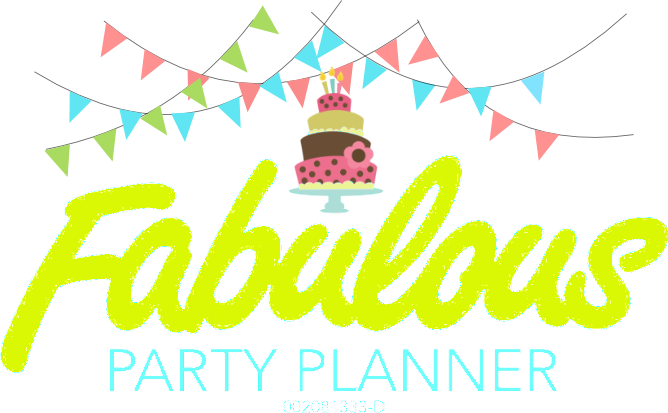 Anne contacted us since July though her daughter's first party was scheduled sometime in September. It was a relief to us for having a non-fussy client that trusted in our work, understands our hectic schedules and willing to work along with our standard of procedures. 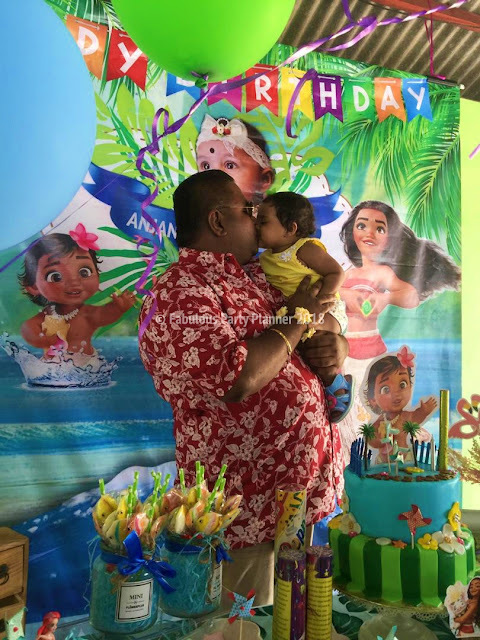 Clearly her background as a daughter of a busy doctor, and a wife of a successful businessman aside from her natural persona built her strong personality a lot in dealing with people respectively. 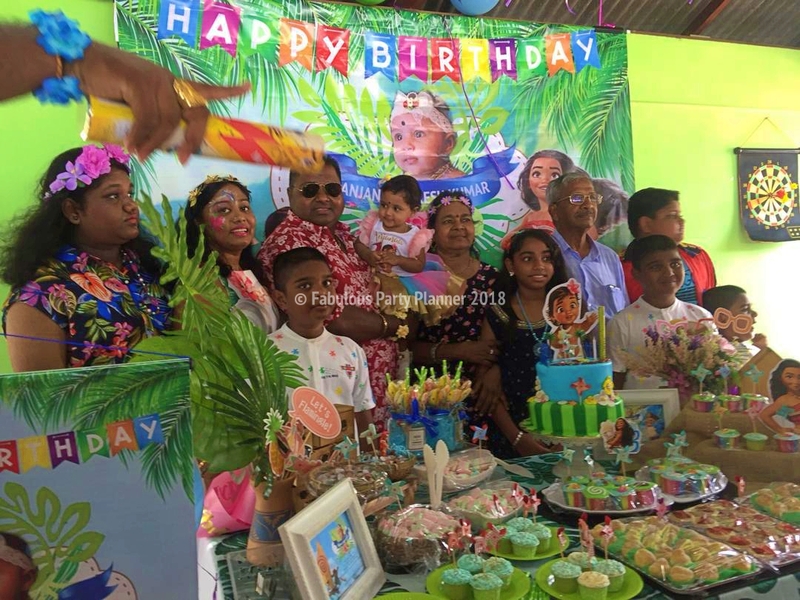 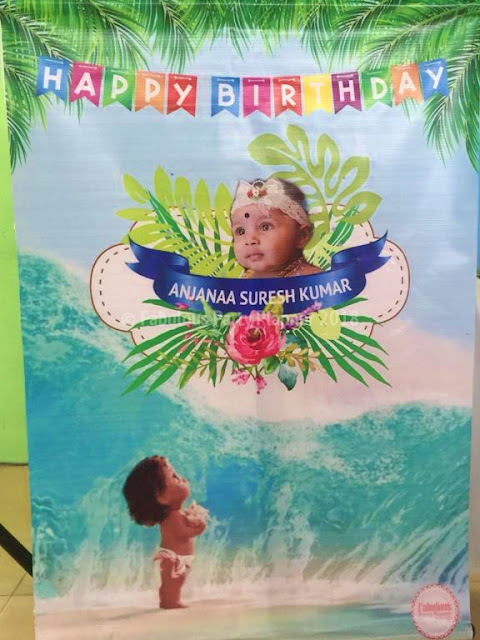 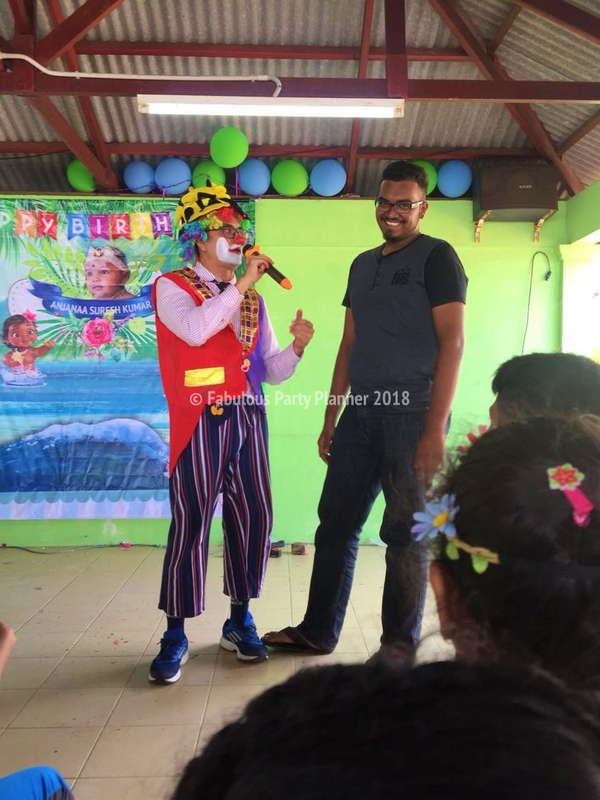 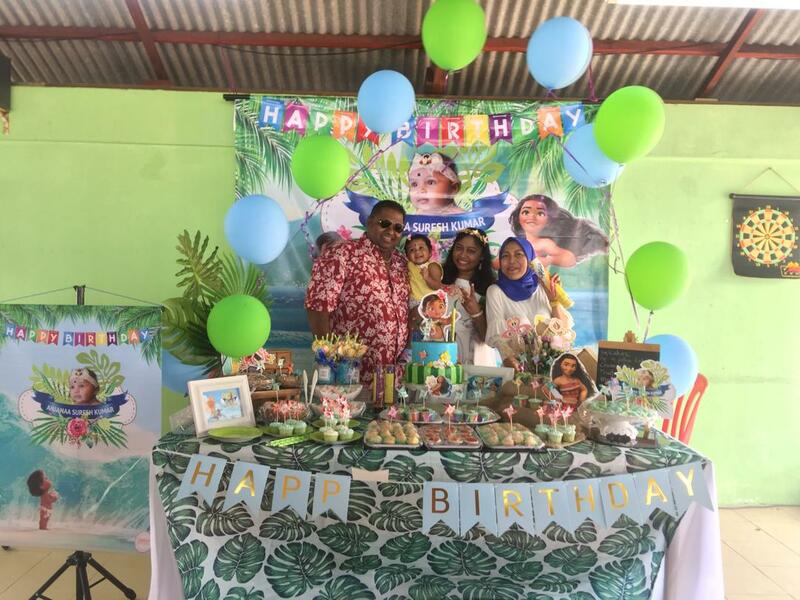 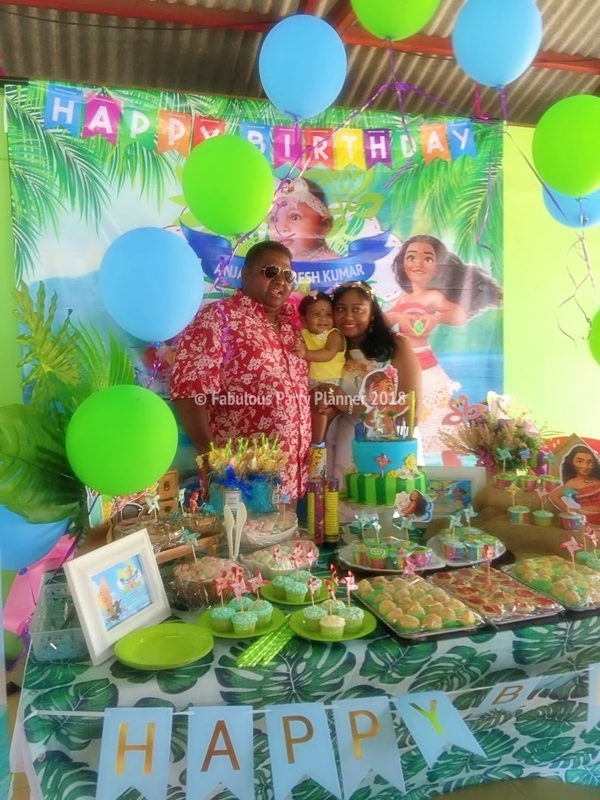 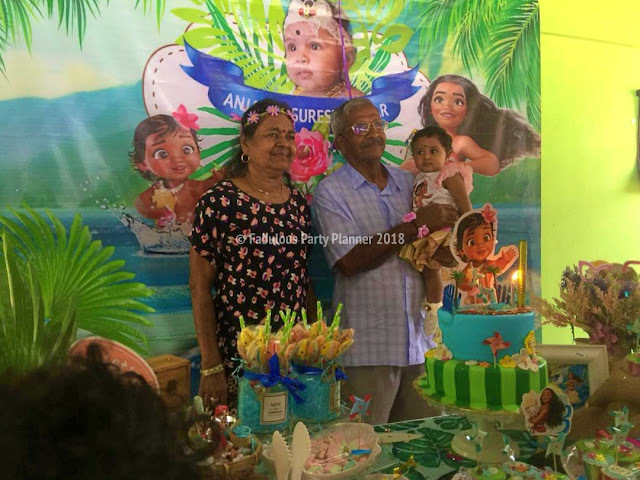 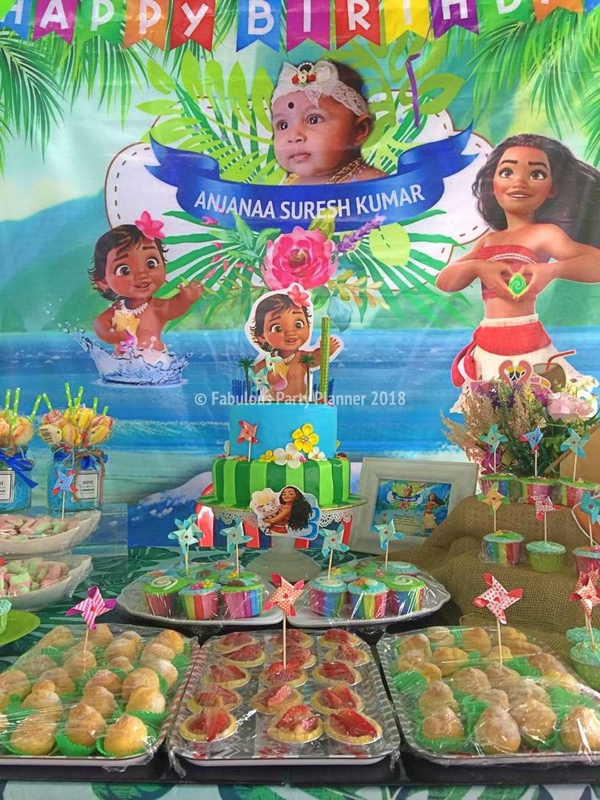 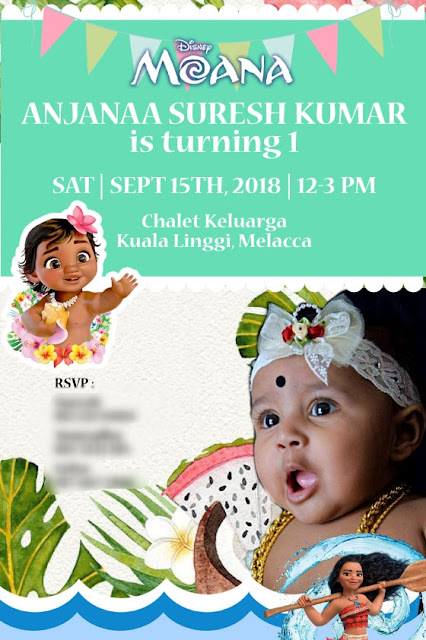 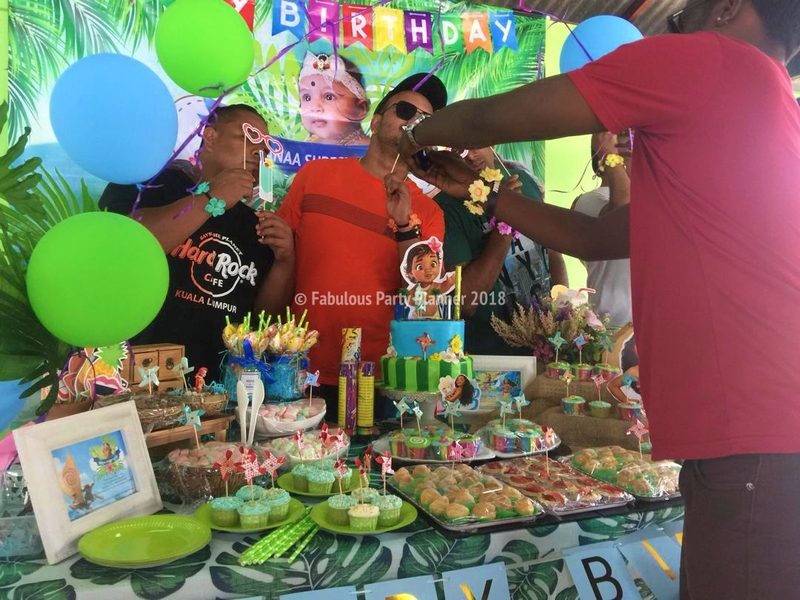 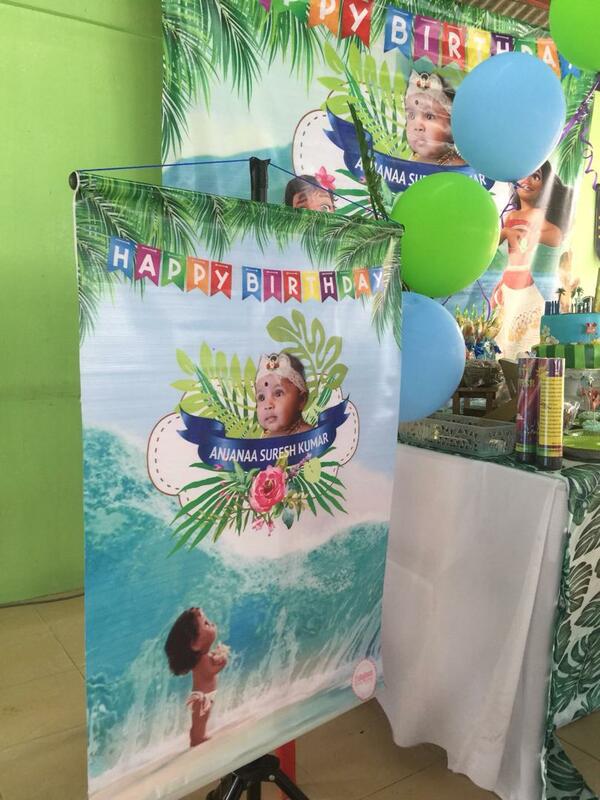 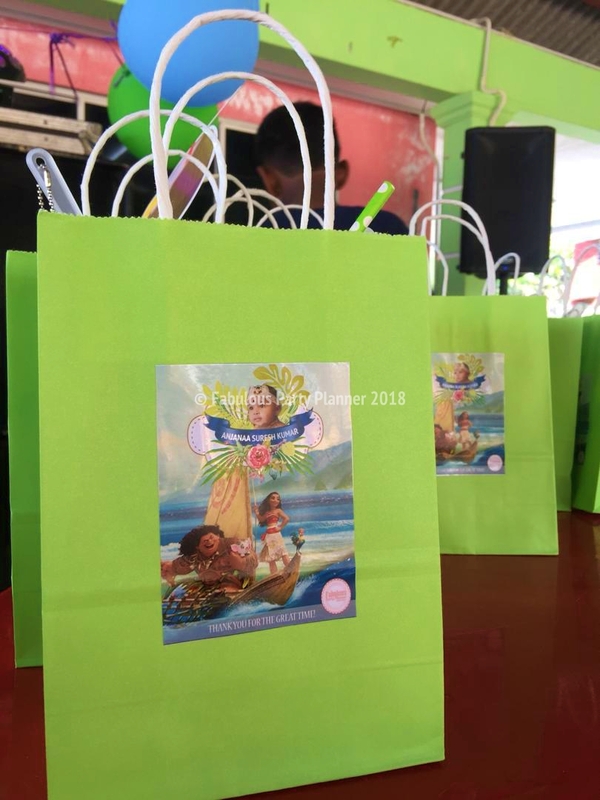 Aside from having a memorable celebration for their first princess, Anjanaa; the party was also meant for his husband's company's staffs annual getaway. The venue was outside from the hustle bustle city of KL. 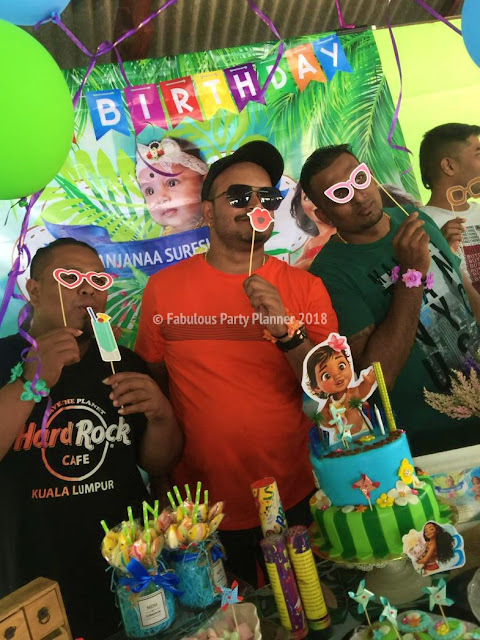 The whole guesthouse complex facing Melacca Straits was booked for them to enjoy their annual company's getaway and family day. 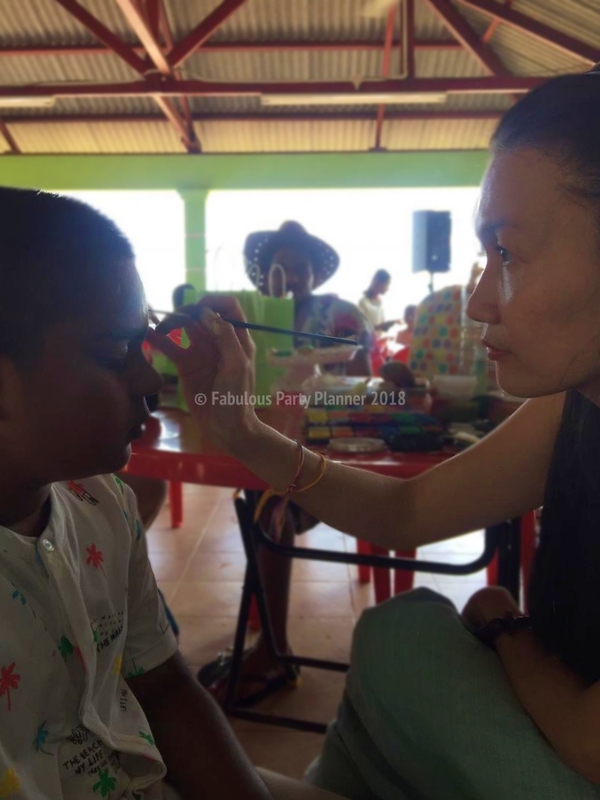 Our journey from KL was smooth on that very beautiful morning - we reached Kuala Linggi Melaka at around 10 am. 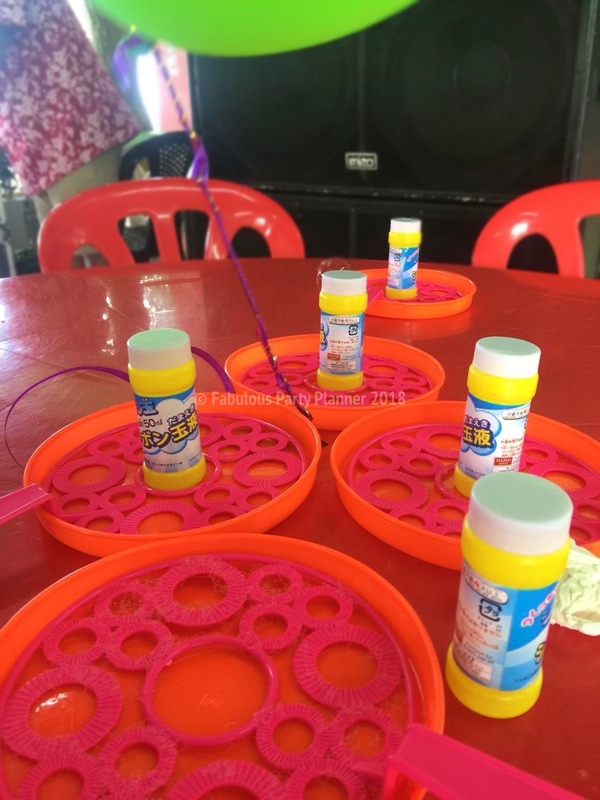 A refreshing sight along the way, we were greeted with numerous hawkers selling Daging Salai but unfortunately we do not have the leisure of time to stop by. 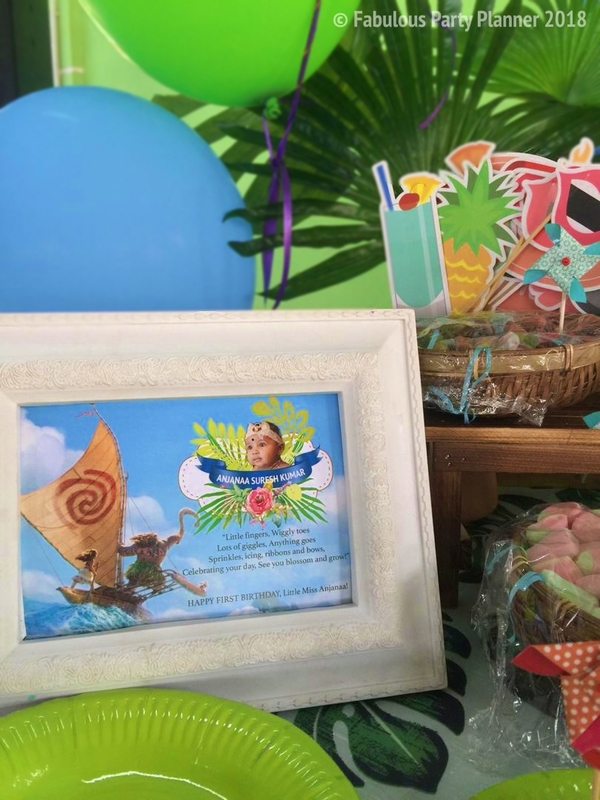 Anne chose Moana theme, a perfect pick for the venue place I thought. 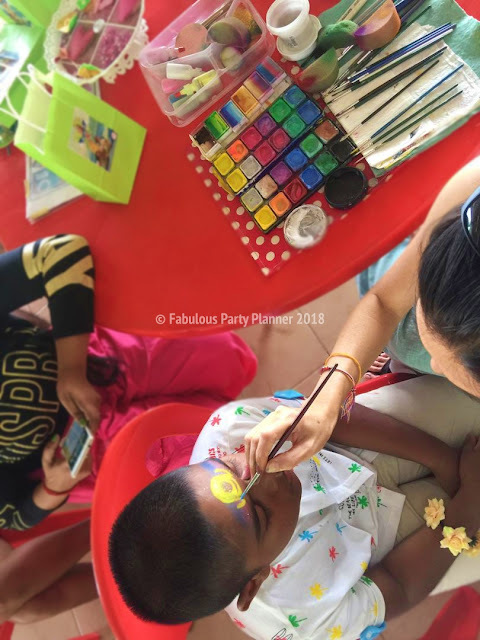 The Guesthouse has extremely beautiful setting, where the main bungalow facing right in front of the beach facing the sea. In the guesthouse compound, there is a small little cafe which we transformed to become their party place, facing the sea view. 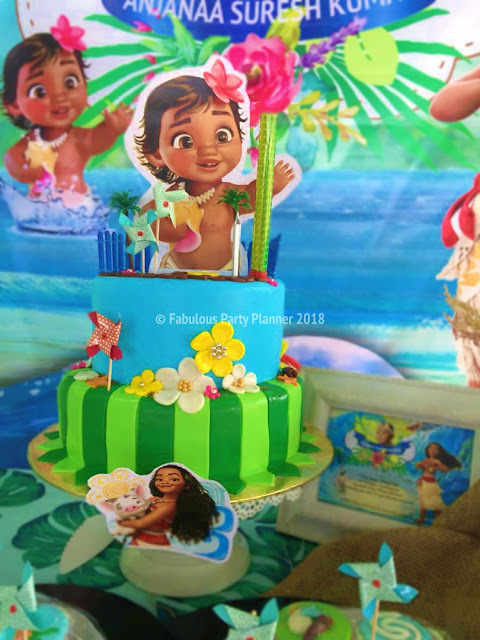 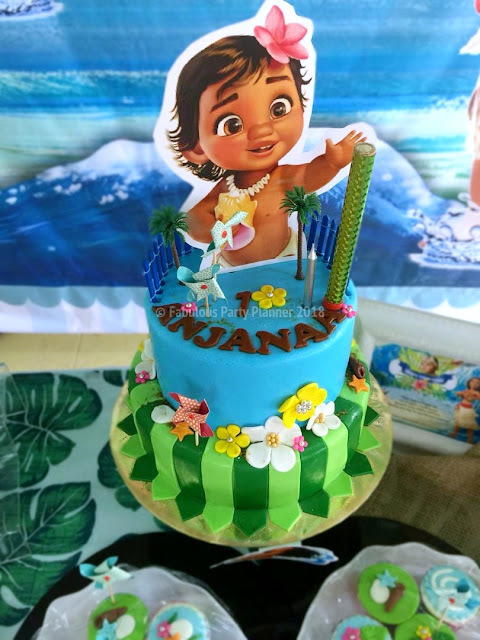 You can imagine cutting the cake to commemorate their first daughter's birthday in front of the sea witnessed by their supportive family, friends and staffs. 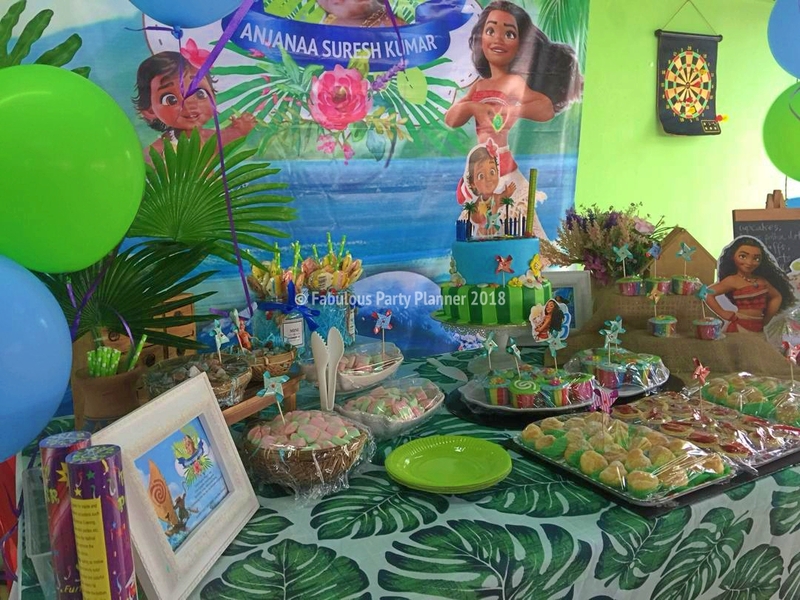 We were grateful that the theme color also suits the hut wall color in green, it matches well with the blue sky and the sea color. 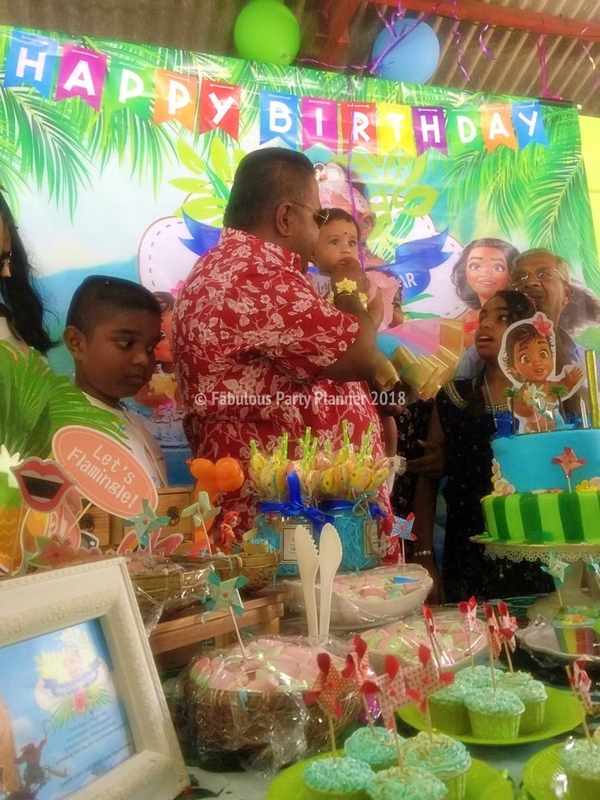 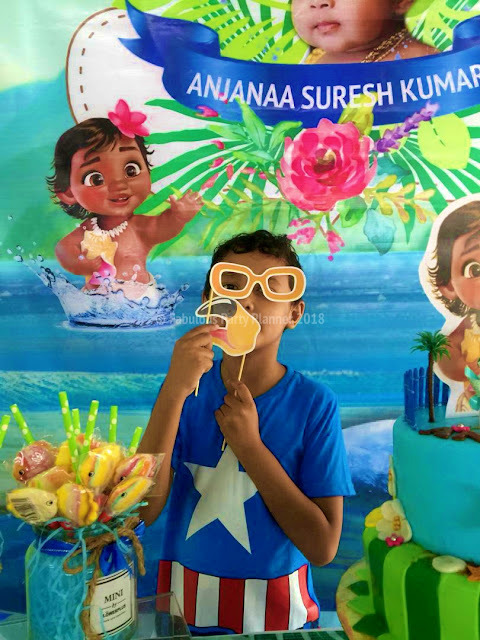 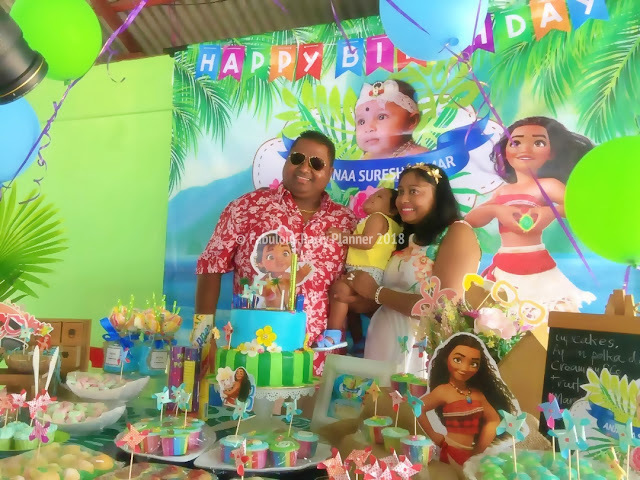 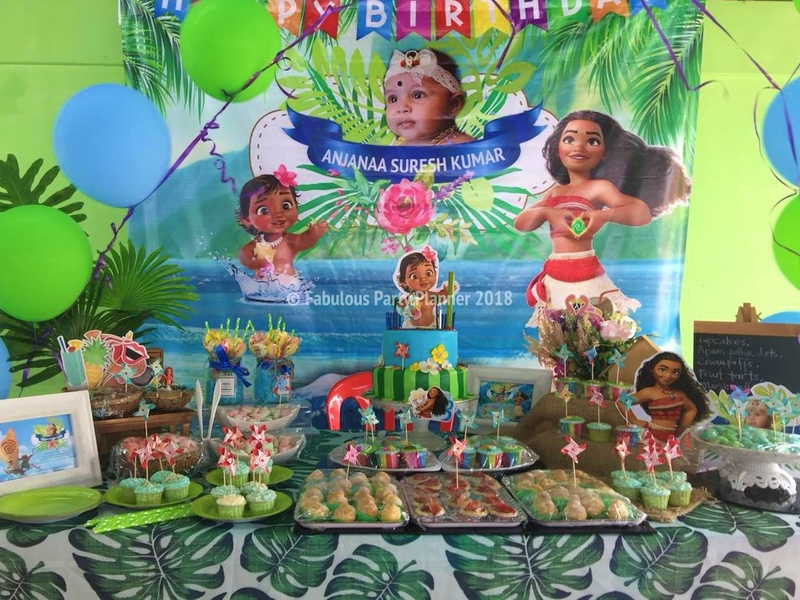 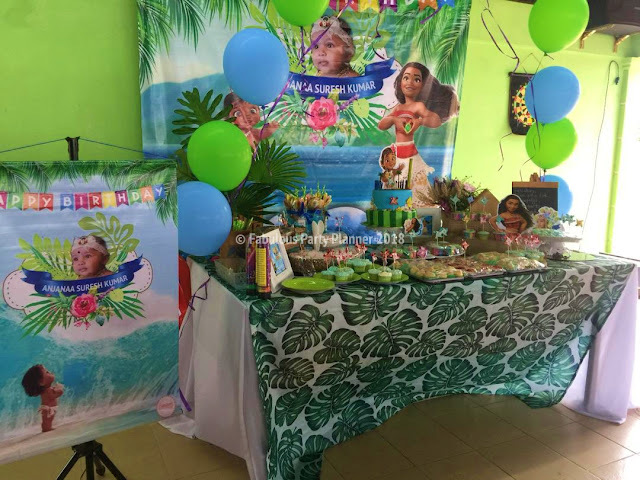 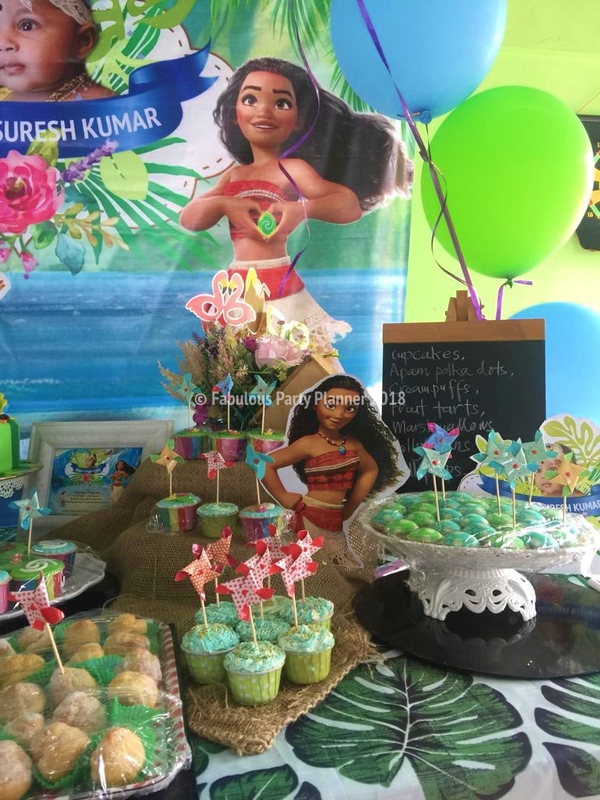 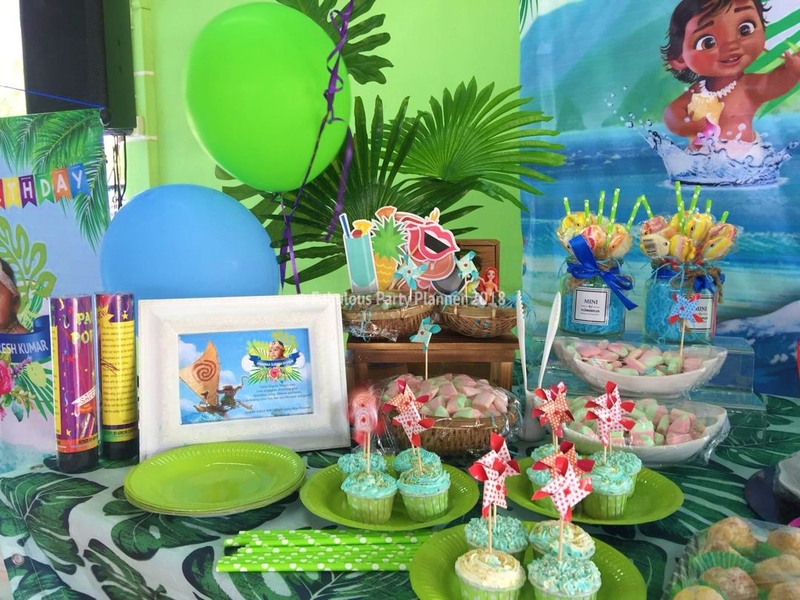 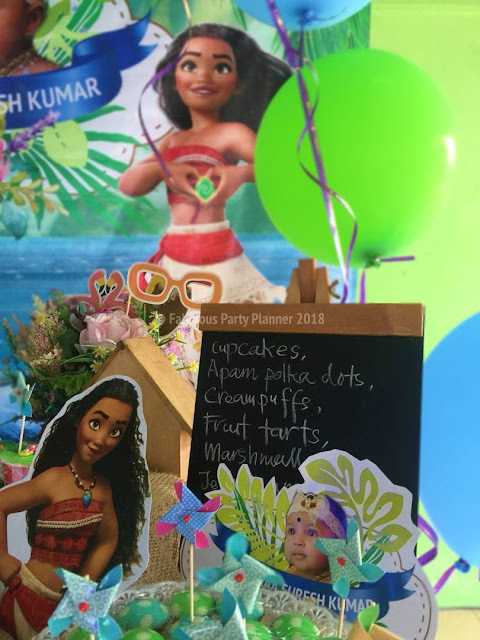 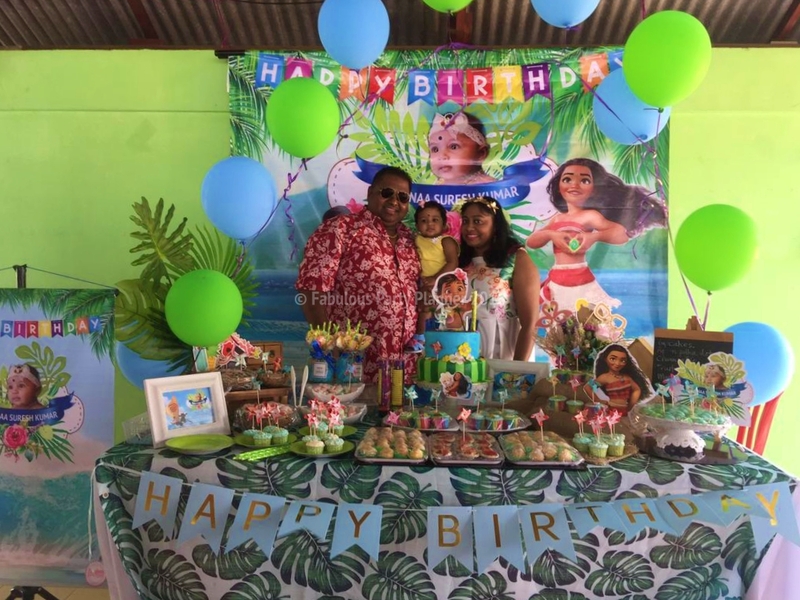 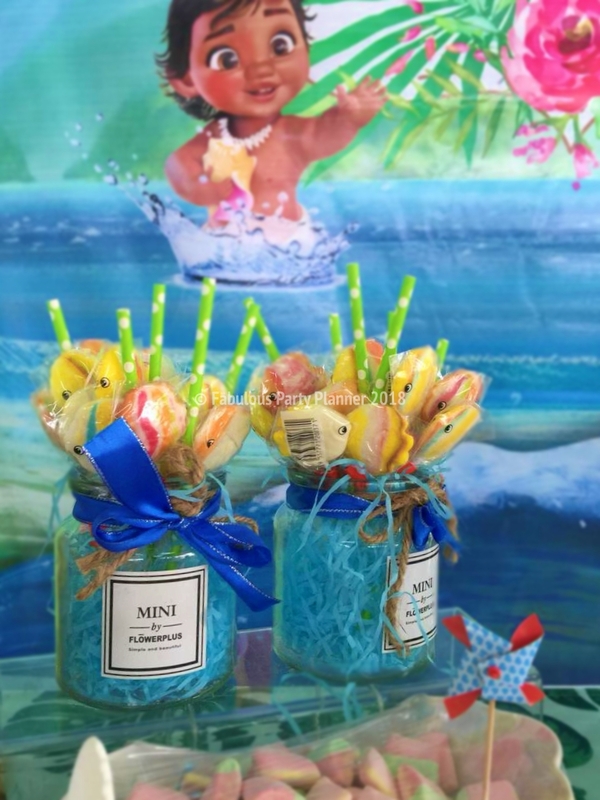 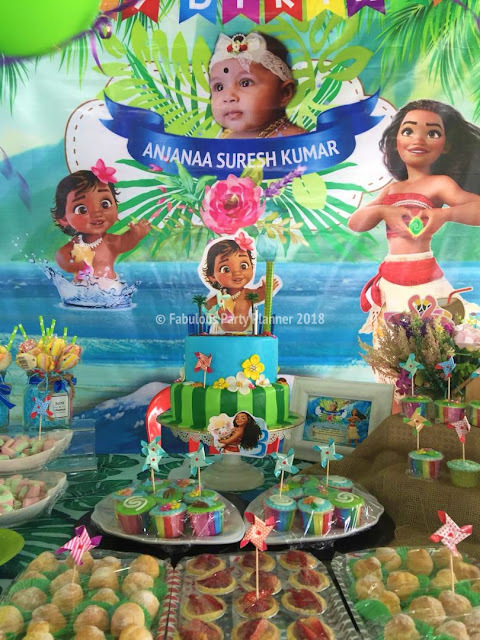 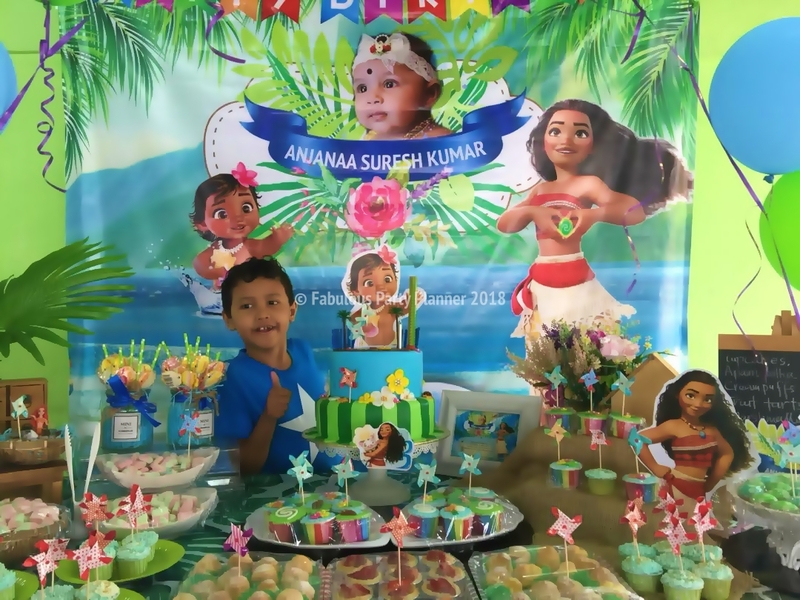 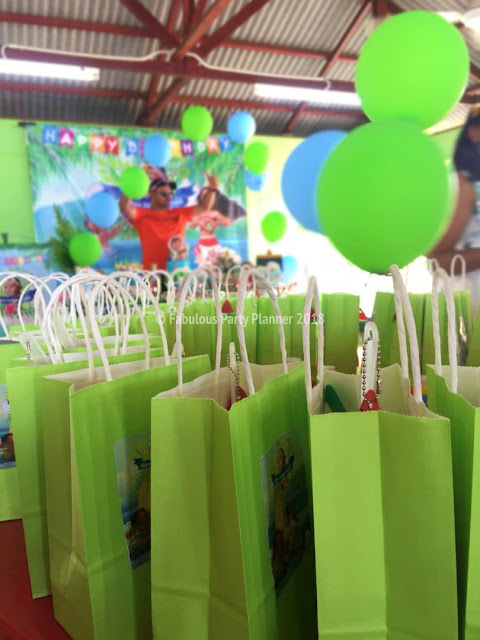 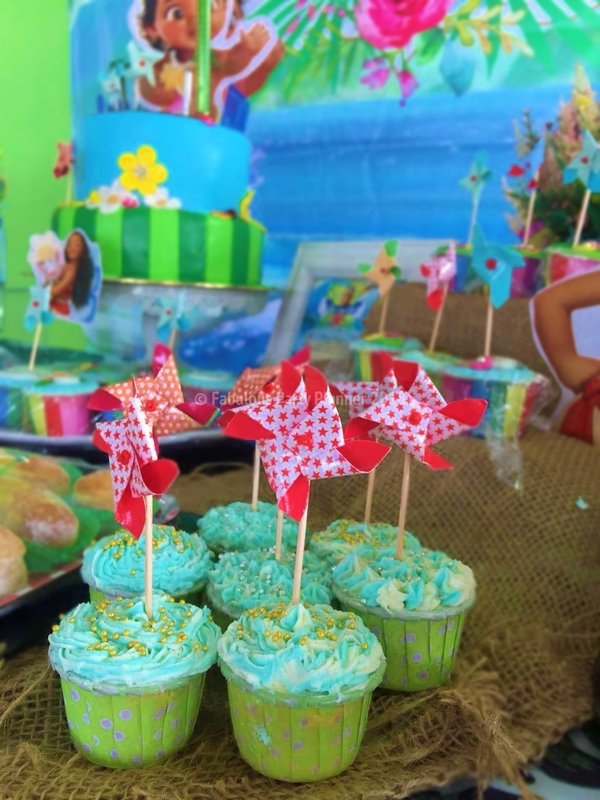 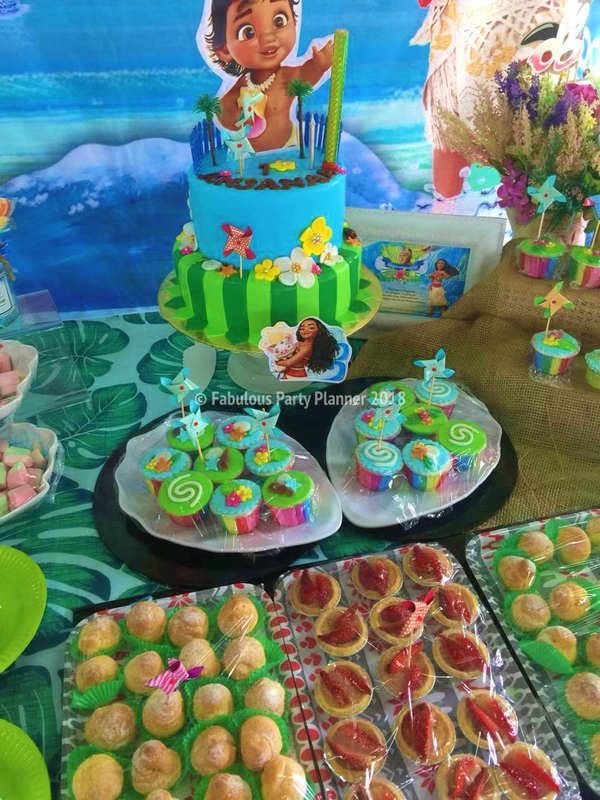 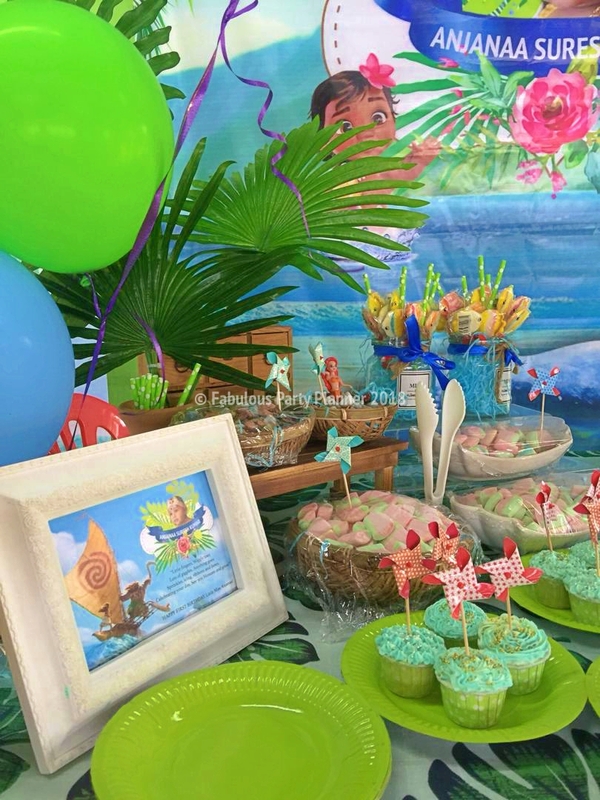 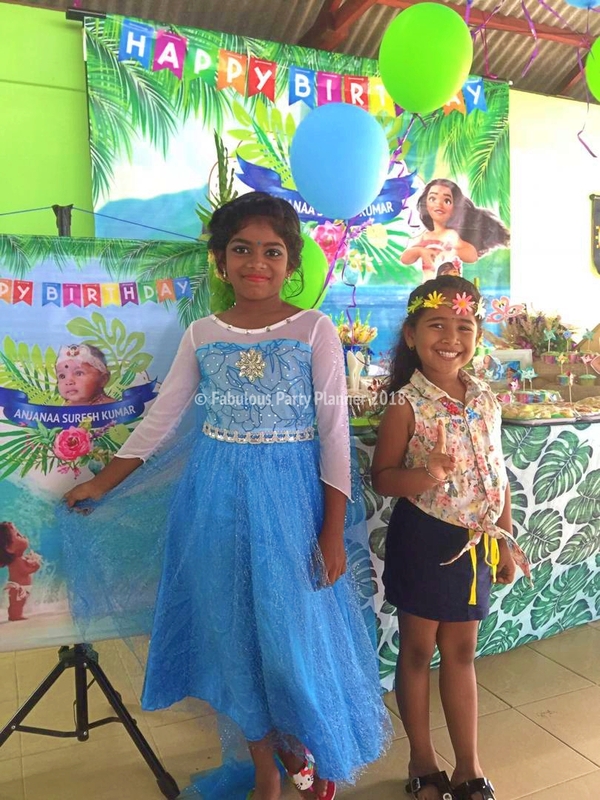 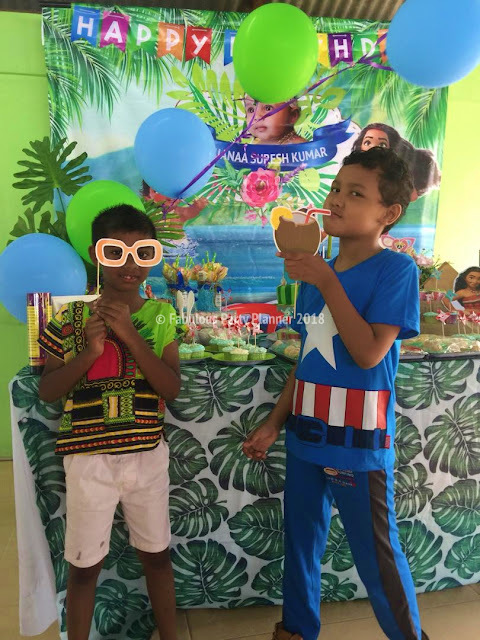 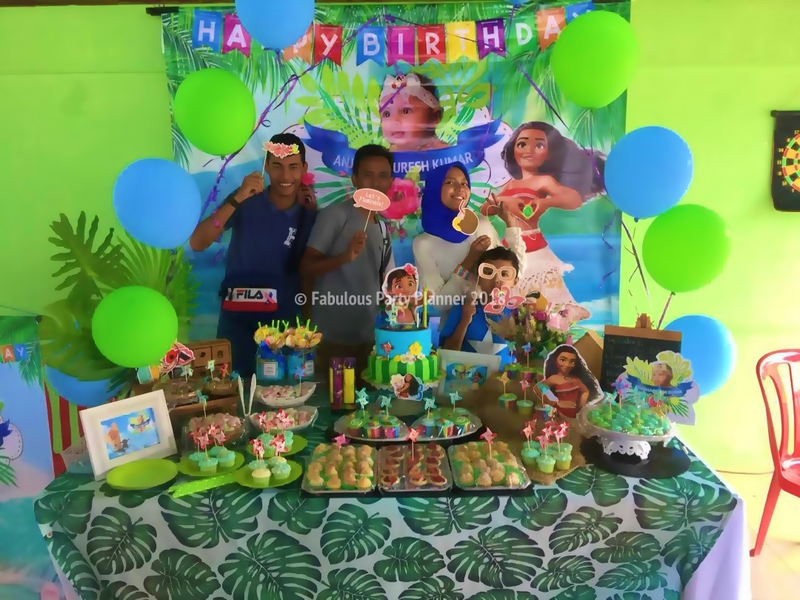 Anne chose Hassle Free Package, which consists of all important birthday elements from the cake, decoration, candy buffet, party pack or doorgift, and also an entertainer to conduct the party for 2 hours. Aside from Hassle Free package, Anne also requested for additional buttercream cupcakes, a face painter and bubble play activity for the kids. 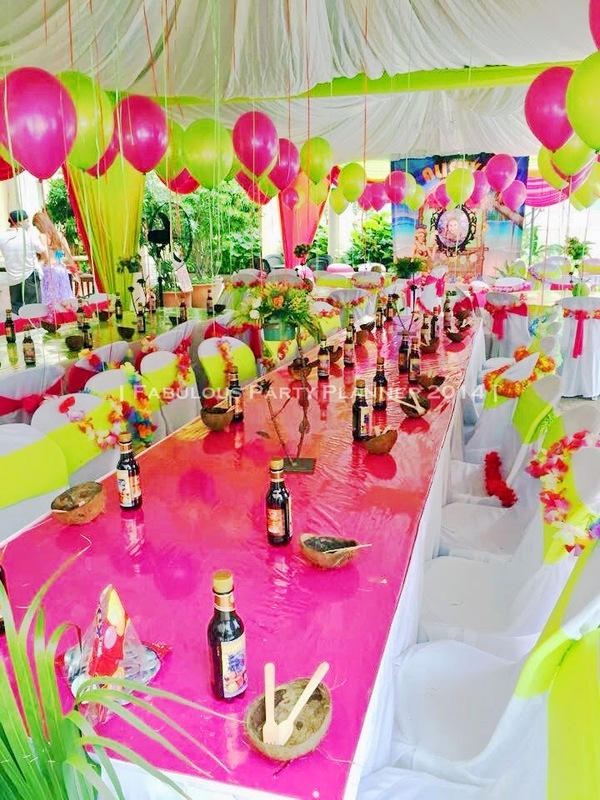 Hyderabad Events Website gives complete information of upcoming eventsHyderabad Eventsfood festivals,science conferences,youth seminars,movie summits & fashion programs. 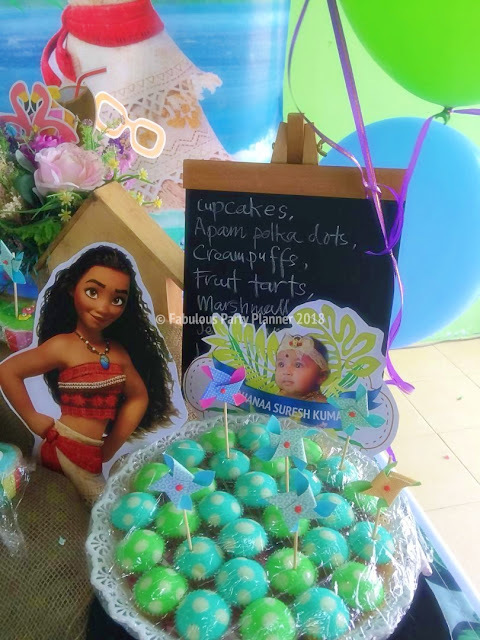 Halloween Birthday Party for Mishqa!